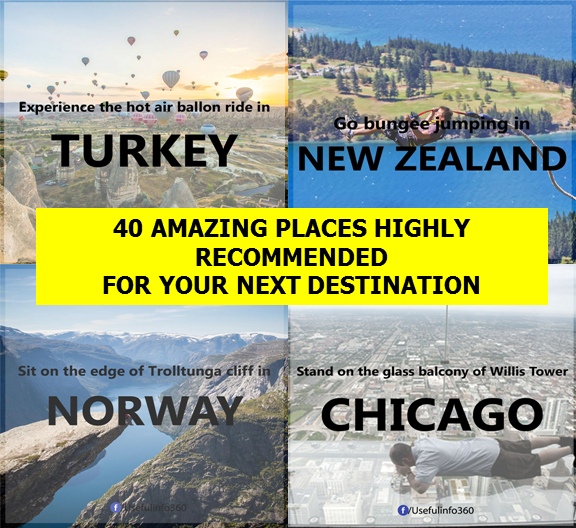 THOUGHTSKOTO Thoughtskoto : 40 AMAZING PLACES HIGHLY RECOMMENDED AS YOUR NEXT DESTINATION. 40 AMAZING PLACES HIGHLY RECOMMENDED AS YOUR NEXT DESTINATION. Are you planning for a vacation or a family getaway? Here are 40 amazing places recommended to be your next destination. There are many great reasons to visit Nepal, including its friendly people, its cultural heritage sites and its world class treks. The biggest attraction of all is perhaps the amazing views on Himalayan giants such as Mount Everest, Annapurna, Ama Dablam and Machapuchare. The Cinque Terre is a destination with timeless appeal, and it’s impossible to do it just in a day trip. It really is the kind of place that rewards taking it slow, whether you’re kicking back at a waterfront table in Vernassa, glass of wine in hand, or listening to birdsong and resting your weary legs at an ancient sanctuary on a clifftop high above. Izamal is a small, charming and beautiful colonial town in the center of Mexico's Yucatan Peninsula about 70 km east of Merida (1 hour driving time) with a magical and peaceful atmosphere, and where the cobblestone streets are lined with historic colonial buildings painted in a beautiful and eye-catching mustard yellow color. We soon fell for Guanajuato—its colors, graceful churches, shady plazas, and lively atmosphere. It’s a compact, walkable city but the large student population means there’s plenty going on with many cafes, bars, street food stalls, markets, and art galleries. Standing tall and proud, limbs akimbo, this wonderful oak is between 800 and 1200 years old. Found in a small village called Allouville-Bellefosse in France, it has two small chapels in it that are still in use today. One is reached by a spiral staircase and the other is in a hollow on the ground ‘floor’. For the last hundred years, the residents of two tiny Indonesian villages in West Sumatra have used a 30-meter-long bridge formed from the interconnected roots of two trees located on each side of a fast-flowing river, to reach each other and trade supplies. Today, the natural wonder known as “Jembatan Akar” has become a popular tourist attraction. A special thrill this small town on the black sea coast of Crimea. This place has an exceptional appeal to visit. Novye Svet has an extraordinary natural energy. This town has a turquoise sea, blue skies with a piney and juniper forest, no wonder it was previously known by name of Paradise. Giant Fish Sculptures Made from Discarded Plastic Bottles in Rio - he sculptures are illuminated from the inside at night creating a pretty spectacular light show. Love this. See much more over on this Flicker set. A spot of reflection is always good for the soul. And judging by these pictures, there's plenty of room for that. For this is the world's largest natural mirror, created when a thin film of water gathers on a vast plain of salt deposits. Longyearbyen town center, Svalbard, Norway. The colorful homes are a contrast against the grey-white scenery.Enjoy the Svalbard summer doing a lot of different activities like hiking, kayaking, dog sledding, fishing, boat trips and cultural activities. Trolltunga is one of the most spectacular scenic cliffs in Norway.All nature based activities are at your own risk. You will need sturdy hiking boots, bring extra clothing and be prepared for bad weather. Bring map and compass, plenty to eat and drink, a torch and a simple first aid kit. Weather in the high mountains can change quickly - check the latest weather forecast before going to Trolltunga. Playground swings are pretty fun as far as playground attractions go, but let’s face it – they’re vanilla. Luckily, the Swing at the End of the World located at La Casa Del Arbol (The Tree house) in Baños, Ecuador has solved that problem by hanging a long swing at the height of a steep drop-off with a gorgeous mountain view. When you ride a hot air balloon, you’re really at the mercy of the air, making the experience utterly exhilarating, slightly terrifying eyes vivid with wonder; hands clutching onto the basket tightly. Flying up in the air is eerie and peaceful. We floated by pigeon houses and eroded mushroom-like fairy chimneys; bobbing around us were a hundred other balloons in splashes of colors; a kaleidoscope illuminating the dawn. That's because Greece's Melissani Lake, which may just be home to the clearest waters in the world, happens to sit inside a cave, a complicated arrangement, although not one that's unique to Greece.Effectively, Melissani Lake is an aquifer: The water inside the lake is seawater that has been sucked into the cave, which filters it and makes it even more beautiful and transparent. The beautiful, vulnerable, bustling hillside port of Valparaíso, the ‘Jewel of the Pacific’, is known for its susceptibility to earthquakes and as being one of the homes of the Chilean poet Pablo Neruda. Valparaiso is recognized worldwide as a UNESCO World Heritage Site, a deserved award for its architecture, design, history and cultural contributions. If you love history, street art, and bohemian life, Valparaíso is must. Here are ten original options that this lively city offers the discerning traveler. Even the least expensive Maldives water villa will usually have a glass-floor section like we all dream about. You might not have to spend much more money to get a water villa with a Jacuzzi, including a few at some of the all-inclusive resorts that offer unlimited meals and alcohol. If you are looking for luxury then you’ll be happy to know that many Maldives water villa resorts have private pools on the terrace of each villa. Garth Britzman, Designer - This project reused recycled soda bottles as a canopy under which a small park is created. An intriguing environment is created where one can explore the surface qualities of the bottles at eye level. A 25-metre-long glass bottomed swimming pool will link two blocks of flats in London’s Nine Elm quarter, close to Battersea Power Station. As part of the Embassy Gardens development by HAL architects, the human aquarium will allow residents to swim between the two buildings while enjoying views across London. Switzerland has plenty to offer for a great holiday – top class accommodation, excellent restaurants and a landscape second to none. But for a great snow sports holiday, there’s one key ingredient that you can’t do without: plenty of the white stuff. The pathway, built earlier in the summer echoes the glass-bottomed walkway at the Grand Canyon in the U.S.
All of Gamla Stan and the adjacent island of Riddarholmen are like a living pedestrian-friendly museum full of sights, attractions, restaurants, cafés, bars and places to shop. Gamla Stan is also popular with aficionados of handicrafts, curios and souvenirs. There are several beautiful churches and museums in Gamla Stan, including Sweden’s national cathedral Stockholm Cathedral and the Nobel Museum. A wonderful place, not by chance known as Marvelous City, this is Rio`s nickname, where you'll certainly spend the holidays you'll never forget. A rich night life is waiting for you, with bars where the chopinho (draft beer) makes new friendships in the Carioca way of life. Just sit back in any bar and join the people there. It's no wonder this whole place is a UNESCO World Heritage site.With cobbled streets, colorful buildings, and a pedestrian-friendly Old Town, it's difficult not to fall in love with Sighisoara. Yes, it's a touristy place. And yes, it can feel a bit crowded in the summer. But it's still well worth a visit. Situated on the edge of the Thar Desert, Jedhpur is also called the “Sun City,” named for the overwhelming amount of bright and sunny days it experiences. It is home to famed forts, palaces, mausoleums, gardens, lakes, and towers, making it a hot spot for tourist activity. 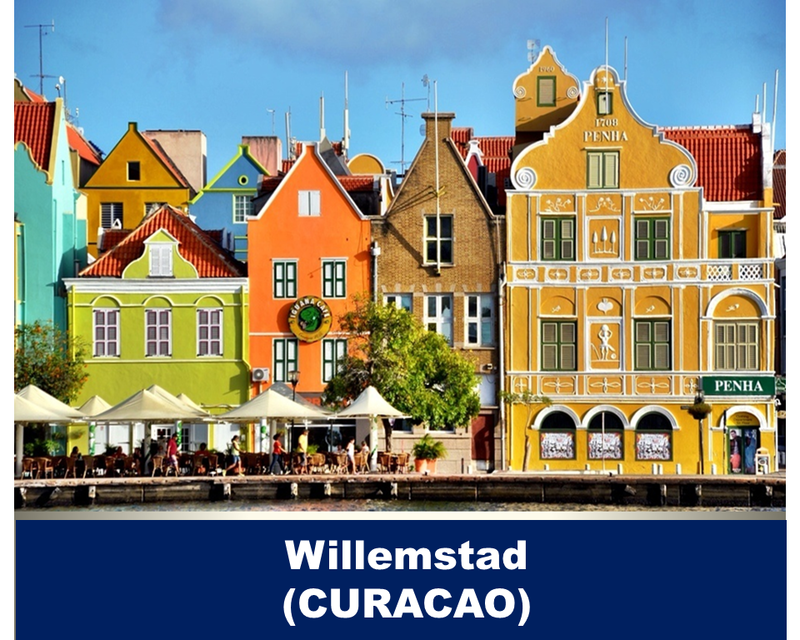 Since its founding more than 500 years ago, the city has earned renown for its textile industry, exquisite furniture shops, delectable cuisine, and bustling bazaars, among many other attractions. Any season but summer is a good time to visit Death Valley. In summer the area may be the hottest place in North America. The record temperature here is 134 degrees in the shade. Some facilities close in summer, so be sure that the resource you want will be open. Check ahead on the park service website. These glass igloos are located on the Arctic Circle, 25 minutes’ drive from central Rovaniemi. Each offers heated floors and thermal-glass roofs with a view to the sky. An icebar and 3 restaurants are on site. A private bathroom with a shower is featured at Arctic Glass Igloos. The hotel's special Aurora Borealis alarm service guarantees that guests won't miss an appearance of the Northern Lights. Breakfast can be served in the igloo, on request. Another factor that made the beer popular at Oktoberfest was the quality in Munich. Bavarian Beer Purity Laws kicked in starting in 1516 which has ensured Munich's beer is consistently great. Other Major Drinking Events In Munich: You'll find plenty of other festivals centered around drinking in Munich. Bungee jumping is an essential feature on every daredevil’s bucket list, and there is no better place to take the plunge than Queens town, New Zealand, the home of the world’s original bungee jump. Whether you choose to timidly step off the edge of the platform at The Ledge or leap daringly into the abyss of the Nevis bungee, your bungee experience is guaranteed to set your heart racing and your adrenaline levels soaring! High above the ground by 2,130 meters in China, this place is called the Path of Death.The paths have been reinforced due to a recent influx of tourists, but they are nonetheless dangerous, and carry a reputation for fatal falls. Although no official statistics are kept, some say that the number may be as much as about 100 fatal falls a year. 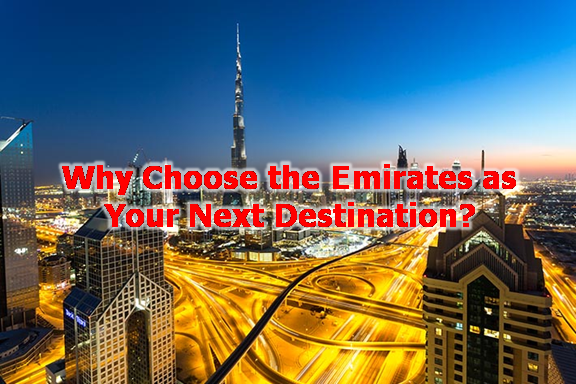 The United Arab Emirates is one of the best tourist destination in the world. They have the tallest tower, one of the most wonderful mosques, and some of the best beaches in the Arab Country. With the dates of holidays has been out in the Philippines for 2017. 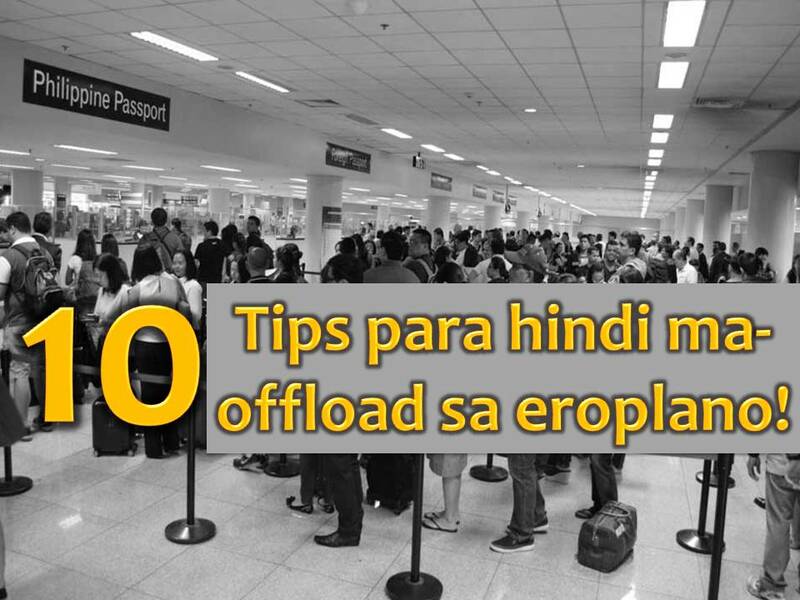 Do you have plans to travel outside the country? 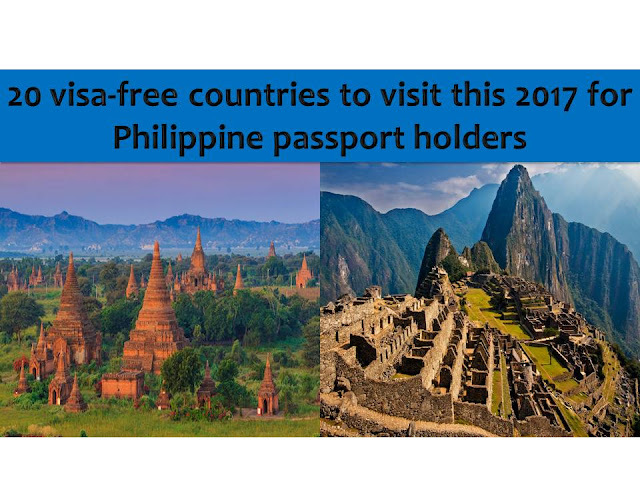 If you are a holder of a Philippine passport, you can travel in this 20 countries with absolutely visa-free.